Home Cast iron cookware Why use a cast iron skillet? Here are some great reasons. Why use a cast iron skillet? Let us share with you why we love ours. Using a cast iron skillet may seem outdated these days with other options available such as stainless steel, ceramic and titanium coated. So a question to ask “Why use a cast iron skillet?” For many people they still love to use their cast iron and wouldn’t cook with anything else. There must a good reason why cast iron still remains so popular, even with it’s biggest flaw…the weight. Before we start, we must say at Boonie Hicks we adore our cast iron and especially our skillets. Needless to say we have a fair collection. However because we love and use cast-iron skillets we are able to share some different insights. We think there are so many reasons to use iron skillets. We would like to share with you, why we think every kitchen needs at least one. Why not give cast iron a try? It opens so many options how to cook your meals. Why use a cast iron skillet? Well, lets find out. Why use a cast iron skillet with so many other choices available? Nothing is perfect but we love our skillets. Okay, before we start we admit each cookware has its pros and cons. Cast iron skillets are no exception. However we are not the only ones who love their skillets. I think it’s safe to say there’s no other type of cookware that is more loved by so many people. We’ll give you some interesting reasons why we think you might like cast-iron skillets. We will focus on pre-seasoned skillets. In this article “Why use a cast iron skillet?” we are referring to bare or seasoned cast iron. Like the ones produced by Lodge Manufacturing. These skillets are more familiar to users, they have a lovely black finish and been in use since the pioneer days. The other type is enameled cast iron which is increasing in popularity. However bare cast iron is still remains more popular. Even after hundreds of years a cast iron has never gone out of date and they always looks amazing. Seasoned cast iron has some different benefits that are different from enamelware so we will keep them separate in this article. Here are some reasons Boonie Hicks love cast iron skillets and why we think you will too. Each skillet has a unique personality. Cast iron makes a home feel welcoming. Cast iron has been used for centuries. A cast iron pan won’t break the bank. From novices to experts it’s a pan for everyone. Quality is not limited to a few brands. Cast iron pans look great in any kitchen. Okay, at Boonie Hicks we get a little excited about our skillets. However we really think skillets look great hanging in the kitchen. Another great point it’s timeless, cast-iron cookware doesn’t date. I mean the material has been used for over 2000 years and it still looks wonderful and more importantly so much fun to use. If you want to have cookware that cooks great meals and also looks good enough to be placed on the dinner table then you need a cast iron skillet. Not only can the cookware go from oven to table it also keeps meals warm for a long time because of the thermal density. Each skillet has its own personality. We are huge supporters of vintage cast iron. There are so many different manufactures that used different logos. If you get into the vintage stuff, the history is very interesting. These old pieces have real character, each looking slightly different and each develop a different patina. The old pans were made using a mold then the cooking surface machined smooth. These days new pans are no longer as smooth as they once were but that doesn’t affect their cooking ability. We are huge Lodge proponents at Boonie Hicks, simply because we love the heritage and history of the foundry. We also think they have a smoother finish than many other brands and the quality is exceptional. If you think new skillets don’t have character, put them side by side with the alternatives. Im sure you’ll gravitate towards the cast iron. In fact your skillet will get better with age, as it builds seasoning and develops its own character. 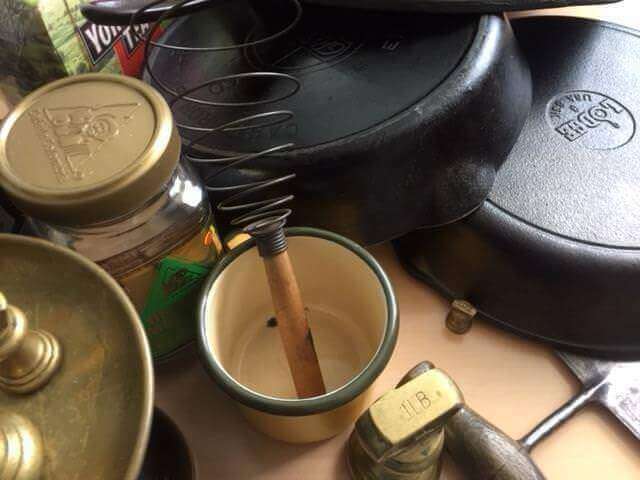 Remember these vintage skillets were once new themselves. Cast iron skillets have a Little House on the Prairie feel to them. Everyone loves cast iron, it has a lovely traditional look and feel. Sure Laura Ingalls would have been amazed with the new developments in cookware. However I couldn’t imagine her using anything else than cast iron. We also have stainless steel pans, however we would never hang them up on display. Why is that? Skillets make a home feel lived in. It makes a kitchen unpretentiousness and welcoming. We have been using iron cookware for over 2000 years. If you are looking for a cooking surface that has been tried and tested then a trusty skillet could be for you. Cast iron is said to have originated in China over 2000 years ago. 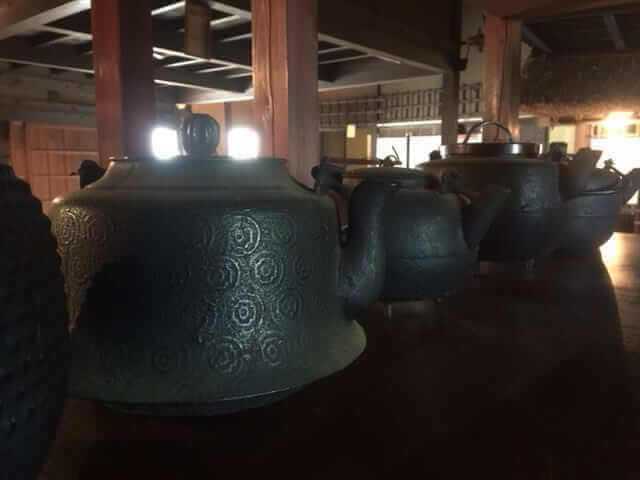 I guess over that time the technology spread to Japan where some foundries have been making Nambu Teki (iron water pots for making tea) for over 600 years. You may even have enough loose change to buy yourself a new skillet. One of the main reasons we suggest using a cast iron skillet is the fact that it’s cheap. Enameled cast iron can get pricy for the top of the line skillets. However for a regular pre-seasoned skillet it’s not going to cost the earth. A cast iron skillet really is great bang for the buck. We haven’t really mentioned what you can do with your skillet. However a skillet that can handle high temperatures and has no plastic. So it can be used on the stove top as well as the oven. It really is a useful piece of equipment in any kitchen. Now I don’t want to mention prices. Prices from retailers vary and there are many available brands and sizes after all. However for some it could be less than lunch money. Thats it, I’d say that’s a bargain. From novice to expert, so many cook with a cast-iron skillets. It’s amazing, there are so many different choices out there but still so many choose to cook with a cast iron skillet. Sure I mentioned using a skillet is a lot more budget friendly than other cookware. Professional chefs use a lot of stainless steel in restaurants because it responds to heat quicker. However I wouldn’t be surprised if many chefs like to use a cast iron skillet in their homes. An iron skillet can give the novice the same performance that professionals expect from their own cookware. Why use a cast iron skillet? Well there are so many choices and it’s sold pretty much every where. We are the first admit, you have many choices when it comes to choosing a skillet. We love our Lodge products and our vintage cast-iron they’re great fun to use. If you think we are sponsored with Lodge no were not. I wish we were. Okay we admit there’s many fine brands out there. However you are not limited to one or two brands if you are looking for quality. There are other brands you can give a go. Camp Chef, Utopia, Coleman even Tfal make a skillet I’ve heard. I was careful to say brand. That’s why at Boonie Hicks we recommend Lodge for pre-seasoned skillets, they actually have a foundry to manufacture their products. The old timers still cook great. We must mention vintage cast iron as well. There’s plenty of cast iron around after all it does last forever if cared for. You might find yourself a bargain in a garage sale. 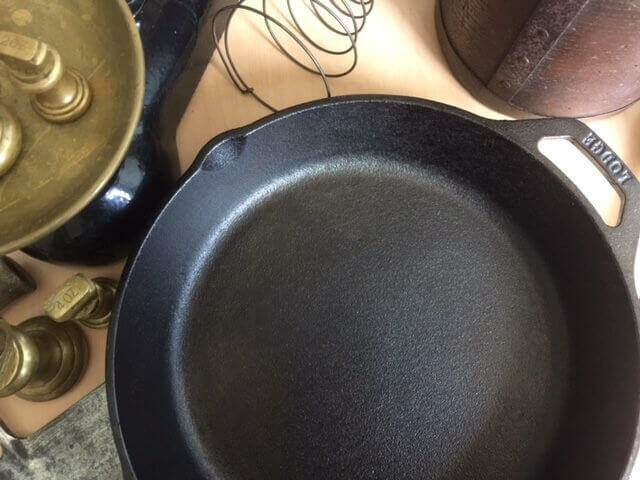 Here’s a few points you may want to consider before buying a vintage skillet. Check for wobble in the pan. Vintage may not mean it’s made in America. It doesn’t need to be a brand name to cook great meals. Sellers maybe asking too much. Quick research on the foundries name is not enough to determine collectability. Cast iron forums or fan pages are a great resource to find out more. I recommend re-seasoning a vintage pan to make sure it’s clean for a new user. There’s a few things to consider before rushing out to buy a vintage piece. However a nice new skillet is most likely to be flat, and seasoned ready to cook. That is why we recommend a new skillet for first time users. Just to recap some of our main points why we love our cast iron skillets. Although there are many more reasons to use a cast iron skillet, we have cherry picked our favourites. It’s not going to date – Cast iron skillets are class. No matter what kind of kitchen you have, it’s going to look great. Every skillet has a unique personality – Unlike other material which looks great when new, but gets shabby after a few uses. Cast iron skillets have personality, each piece may cook slightly differently and have little bumps in the seasoning. Basically no two skillets are the same. Cast iron has a lovely welcoming feel – They are really traditional and familiar to most people. Cast iron skillets conjure up images of wholesome living and our pioneering spirit. 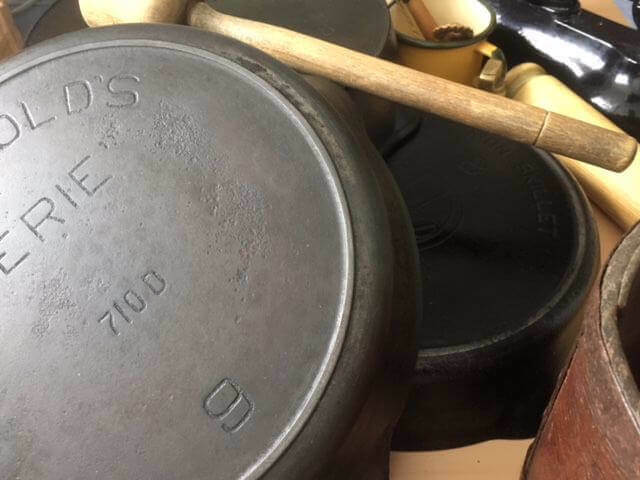 If you’re considering trusted cookware it’s hard to look past a cast iron skillet – Cast iron has a long history of use in countries famed for their food culture, Chinese Japanese and French. These countries have a long history of using cast iron cookware. What would American food culture without be without the cast iron skillet. 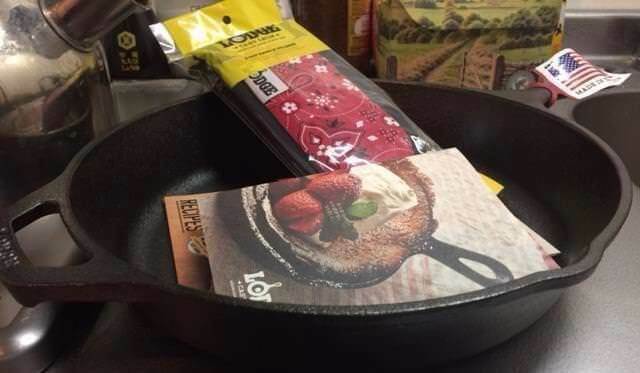 A cast iron skillet is not going to break the bank – it’s reasonably priced and has performance that professionals come to expect from there cookware. There are many brands available – Coleman, Utopia Camp Chef and of course Lodge are just some examples available. Although many probably have their cookware designed and manufactured from a foundry they are contracted with. There are some makers that make small quantities of skillets but they cost a pretty penny. 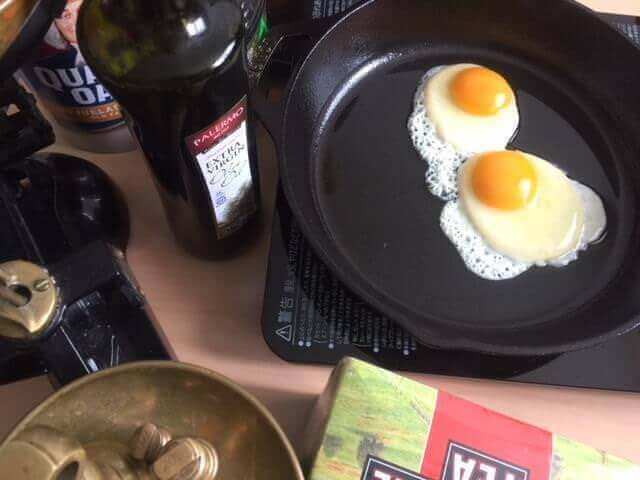 I’d go for a cheaper skillet for the first time user. 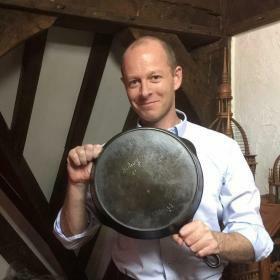 Also there’s some fine vintage skillets out there but I recommend going to a forum or research on websites like ours before venturing into buying vintage skillets. Why use a cast iron skillet? We tried to give you some different information, we haven’t mentioned what you can do with a skillet but rest assured they’re great pans for cooking. As mentioned earlier there are pros and cons and other benefits to cook with cast iron skillets. We cover these in different articles and left them out in this article. We really wanted to bring readers something different. If you are considering a cast iron skillet they’re are available almost everywhere and it’s not going to blow the budget. Why use a cast iron skillet? We hope we have answered the question. They really are fun to cook with. If you’re new to cast-iron cooking then a skillet is a great choice. 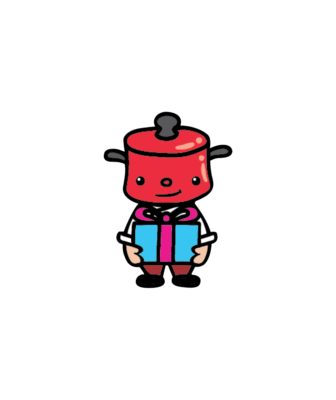 From there you might want to venture into enameled pans, vintage or Dutch ovens. However a trusty pre-seasoned skillet will give you loads of enjoyment and yummy meals. 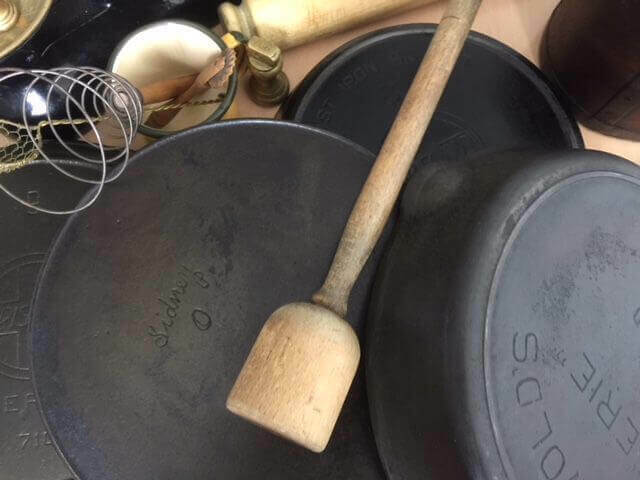 Previous articleVintage cast iron: All about the history of the Sidney Hollow Ware Co.
Next articleWe share with you some benefits of cooking with cast iron.